It’s cold, every item on the news is depressing and to top it all, you’ve run out of milk! 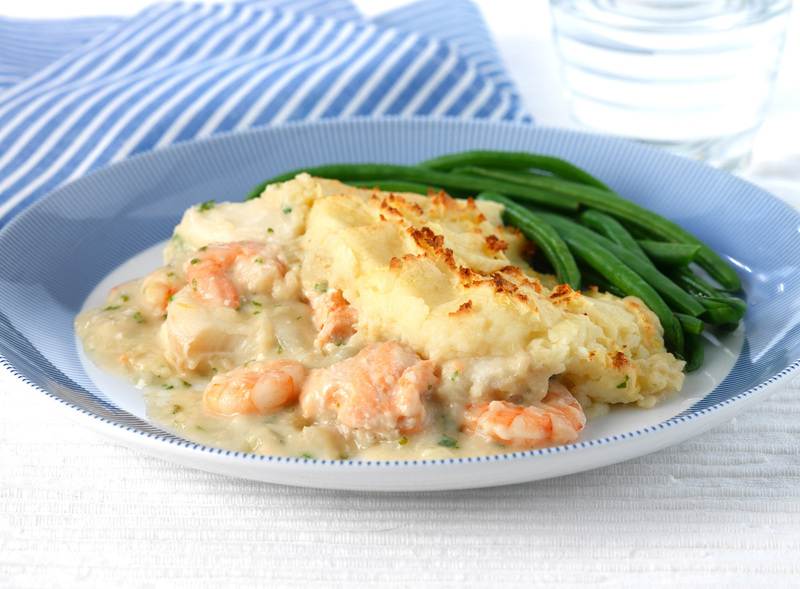 If that sounds like your day, this is a perfect moment to pull together this delicious fish pie from Oatly which can cook while you’re winding down from the stresses of the day. Just reach for some fish from the freezer, a couple of cartons of Oatly oat drink and cream and you’re set for a warming meal which will help restore your sense of equilibrium. Oatly oat drinks are a tasty way of getting all the benefits of oats into your diet as well as being heat-stable, which makes them ideal for use in cooking and baking instead of dairy milk or cream. Check out the range of delicious sweet and savoury recipes on www.oatly.com. 1. Pour the Oatly oat drink into a pan and add the onion, bay leaves and peppercorn, bring to a simmer, remove from the heat and allow to infuse for 20 minutes or until ready to use then strain. 2. Meanwhile peel the potatoes and cut into even chunks. Put into large pan, cover with water and bring to the boil, simmer until tender. Drain well then mash with 100ml Oatly Cream and grated lemon zest, season. 3. Pre-heat the oven to 190ºC (170ºC fan) gas mark 5. Cut the fish into chunks of a similar size and place into a greased ovenproof dish (approx 1.5litre) and scatter the prawns on top if using. 4. Heat the oil in a pan, add the fennel or leek and cook gently until softened. Stir in the flour and cook for 1 minute. Pull off the heat then gradually add the Oatly oat drink and remaining Oatly Cream. Return to the heat and stir until the sauce thickens, cook over a low heat for 1 minute (this should be quite a thick sauce). Take off the heat and stir in the parsley, season if needed then pour evenly into the dish. Using a fork gently lift the ingredients so they are coated in the sauce. 5. Spoon over the potatoes and spread in an even layer, fork up the surface then place the dish in the oven to bake for 35 minutes or until the potatoes are golden. 6. Serve with green vegetables such as broccoli or green beans. There are four varieties of Oatly to try (Chocolate, Enriched, Organic and Dairy-Free Alternative to Cream) and they are all high in fibre and low in saturated fat, and may help to reduce cholesterol - just one 250ml glass of Oatly provides a third (1g) of the daily requirement of beta-glucans (soluble fibre) for cholesterol reduction. Oatly oat drinks are lactose, milk protein and soya free, so they're great too for anyone who suffers from milk protein allergy, lactose intolerance and/or an allergy to soya. Available from all major supermarkets, Holland & Barrett and independent health food stores, Oatly Organic and Oatly Enriched cost £1.39/1 litre, Oatly Chocolate is £1.49/1 litre and Oatly Dairy-Free Alternative to Cream is 79p/250ml. Oatly stays fresh for 4-5 days in the refrigerator after opening. This press release was distributed by ResponseSource Press Release Wire on behalf of Grand Union PR in the following categories: Women's Interest & Beauty, Food & Drink, for more information visit https://pressreleasewire.responsesource.com/about.